HUM DENOUNCES THE RECENT BOMB BLASTS IN MAJOR CITIES OF PAKISTAN. Hazara United Movement (HUM) strongly condemns the recent bomb blasts and suicide attack in Quetta and Karachi which took the lives of scores of people including security personnel and innocent citizens. 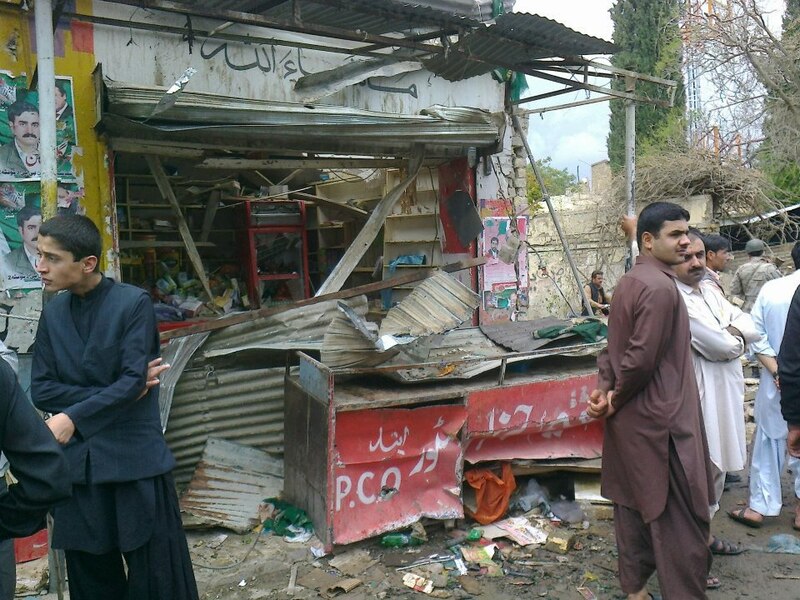 The series of bomb explosions and the suicide attack on Galzai Road Quetta were aimed to terrorise the masses from participating in election campaigns. The Karachi blasts targeting the members and officer-bearers of Muthahida Qaumi Movement (MQM) are the cowardly efforts to deter initiatives for the on-going political activism. 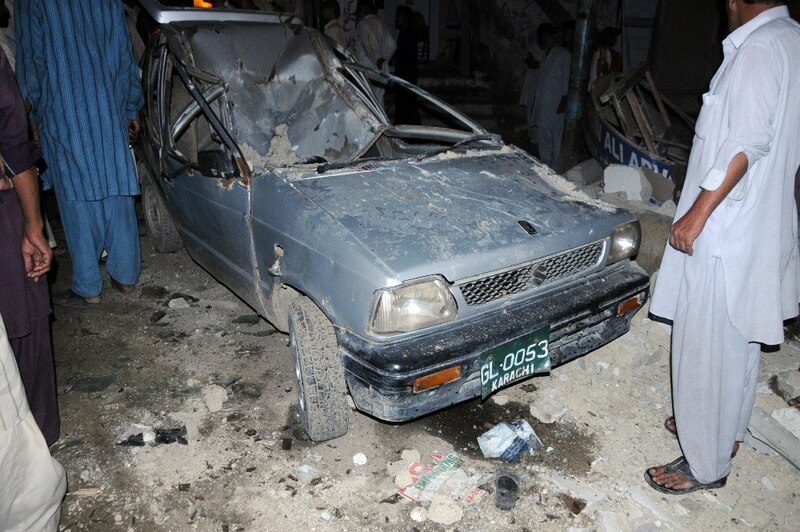 Damaged car at MQM’s office after Karachi Blast. While lauding the commendable attempt of the Frontier Corps Personnel to thwart mass human casualty of innocent Hazara and Shia population of Alamdar Road, Hazara United Movement extends its heartfelt condolences to the MQM and families whose loved ones lost their lives in these callous attacks. HUM anticipates the mainstream Pakistani political parties shall not succumb to any pressure of Islamist extremists and mobilise the masses to come out of their homes and vote in favour of moderate, democratic and progressive forces for a prosperous Pakistan. Posted in Press and Information, United Kingdom (General). Bookmark the permalink.